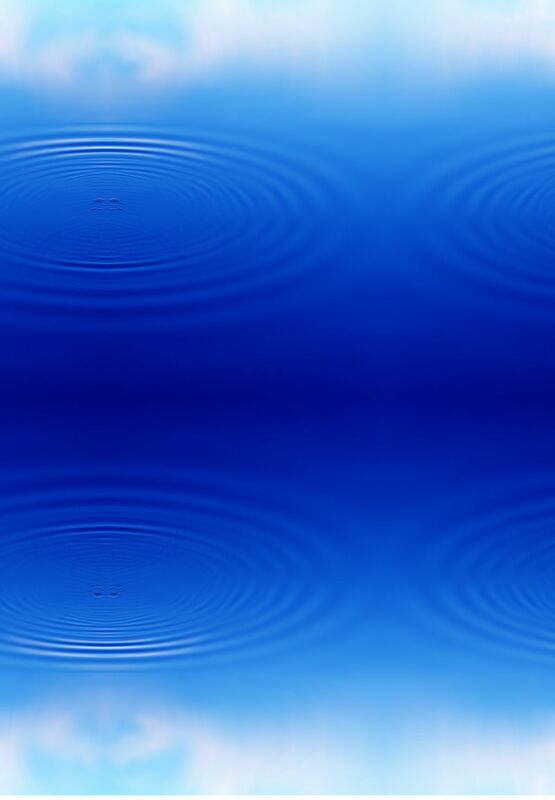 100% pure water made by the system produces cleaning results that are second to none. 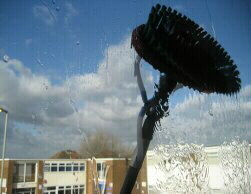 The absence of detergent means no sticky residues ar left, therefore windows do not soil as quickly; windows stay cleaner... longer! 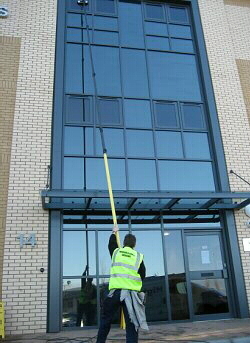 Using this system means ladders and high access equipment can be eliminated, reducing costs whilst ensuring safety. Enjoy the assurance that comes from knowing that some accidents simply can’t happen! No detergents and chemicals helps your business to operate freely and in compliance with EU regulations. Organisations whose practices are environmentally sound are prospered by such legislation. 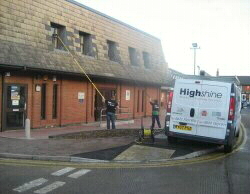 A quality service that puts safety first! 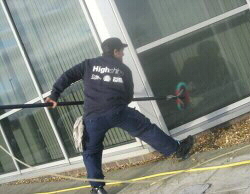 Slash your costs by consolidating your window and office cleaning with High Shine. Even more savings can be made when including your washroom supply requirements!